Lenco may not be a household name, but it's been around for 70 years and the Dutch company now produces speakers, radios, portable DVD players and turntables. 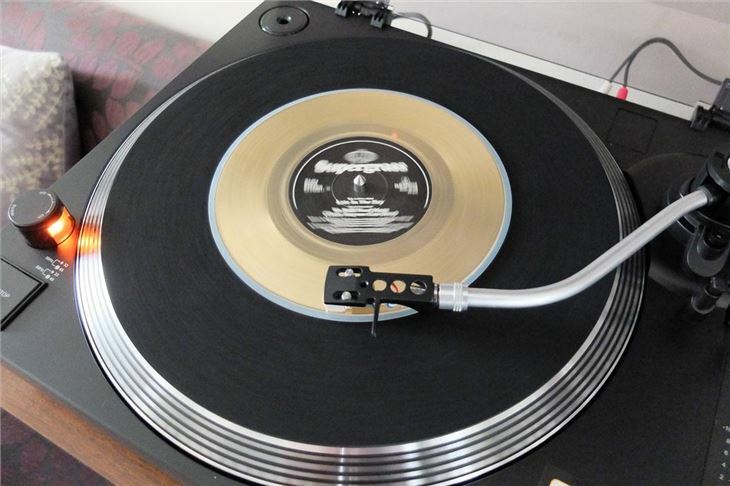 In fact is has a whole range of turntables, both retro and modern. 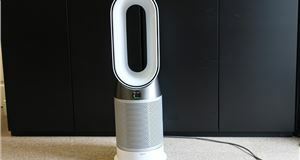 The L-400 is one of its mid-range models and costs around £180 on Amazon. 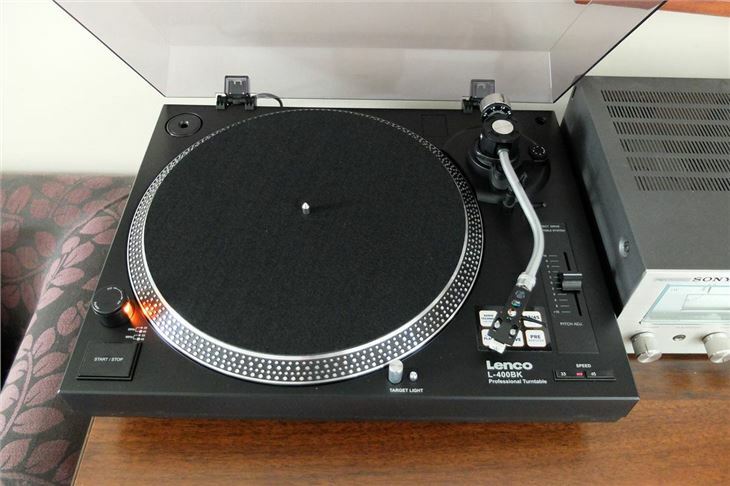 Confusingly, Lenco also sells the identical L-3808 (same turntable and specification), which is cheaper at £150 and also comes in a grey and white. The direct-drive L-400 comes with everything you need, including a phono cartridge, all the relevant leads and a nice smoked dust cover lid too. It has a built in pre-amp so you don't necessarily need a separate amplifier to use it, although it will result in better sound if you do. Alternatively, you can hook it up directly to a stereo system. 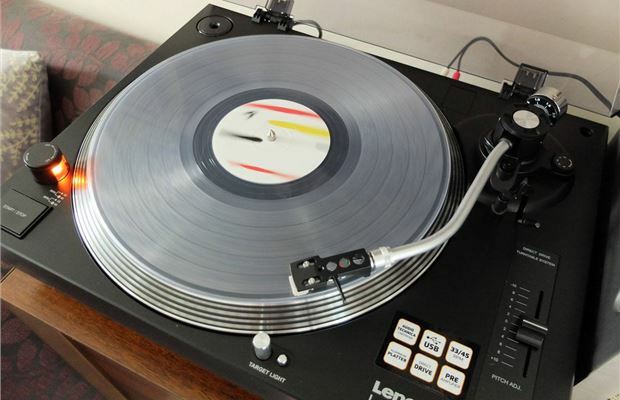 It can play both 33rpm and 45rpm records as you'd expect, plus it has pitch control, which allows you to adjust the speed by up to 10 per cent. 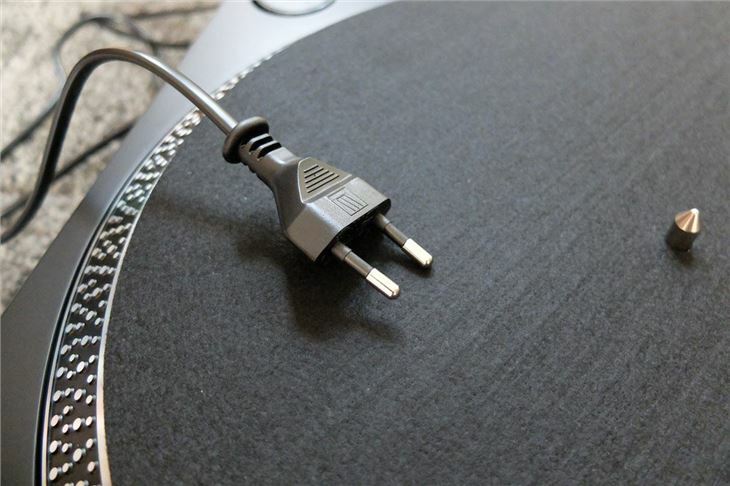 Thanks to a USB output you can also save your vinyl records in digital form, using the free software from Audacity. You simply connect to your PC and away you go. It may not have a fancy name on it, but the Lenco still feels a good bit of kit when you unpack it. It does need a bit of time to set it up - in particular, the tonearm counterweight, which is a little fiddly, even with the instructions. It took us a few goes but we got there in the end. Looks wise the Lenco is more Friday night local DJ-set rather than hipster, cardigan-wearing vinyl listener thanks to the target light. But it doesn't look too out of place sat alongside our 1970s Sony amplifier that we're testing this with. Yes, we're those kind of people. The heavy lid closes with a nice soft action while all the buttons and controls are decent quality, albeit nothing extraordinary. But overall, given the price tag, we're pleasantly surprised with the overall quality and finish. If you're used to a more old-school record player, the L-400 can seem a little over-complicated at first. 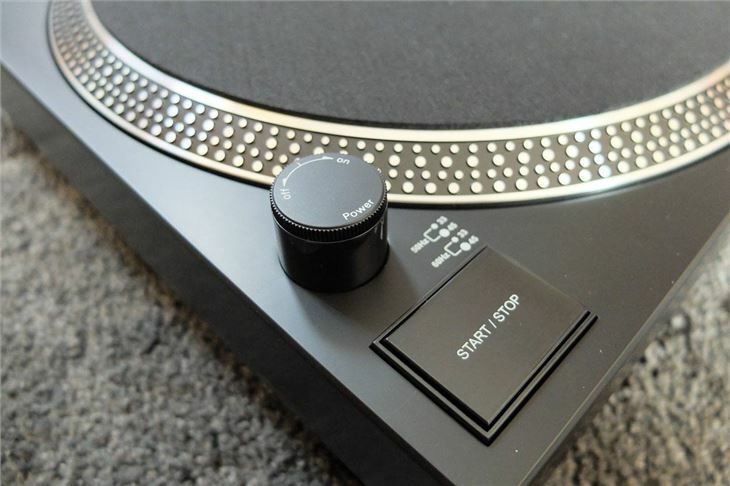 For starters, if you lift the arm, the turntable doesn't start spinning automatically, instead, you have to press the start/stop button. Similarly, at the end of a record, it doesn't auto-return, the record will just continue to spin. You have to manually lift the arm and replace it. You may think the L-400 is all a little over the top if all you want to do is listen to some of your old LPs and perhaps put them onto your PC. 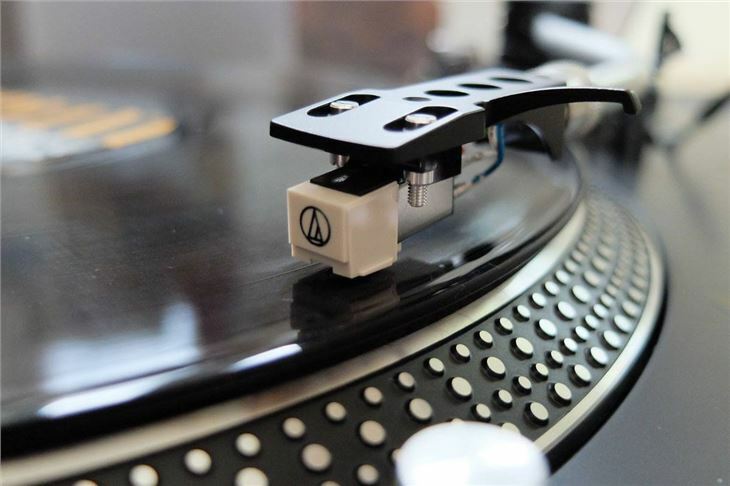 But there are some useful features like the pitch control, which lets you adjust the speed either way by 10 per cent - useful if you have worn or very old vinyl that doesn't play quite right. But it's easy to recommend the Lenco L-400 when it comes to sound quality. It's mighty impressive given the price. 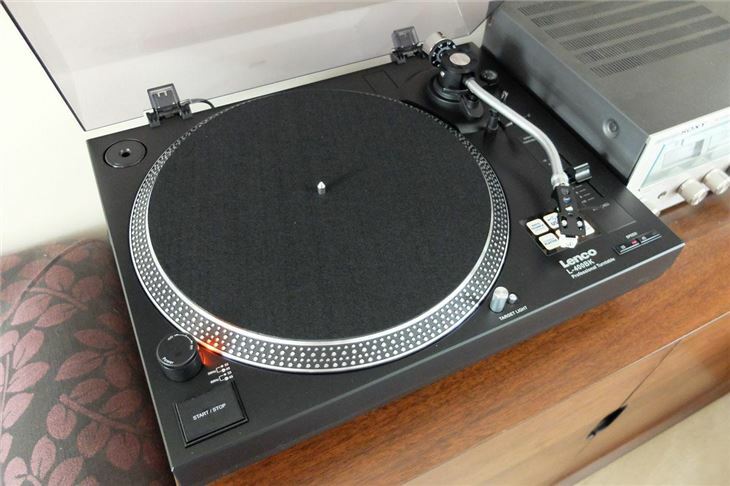 This is a direct drive turntable, something favoured by DJs, rather than a belt-driven system, which are usually cheaper. 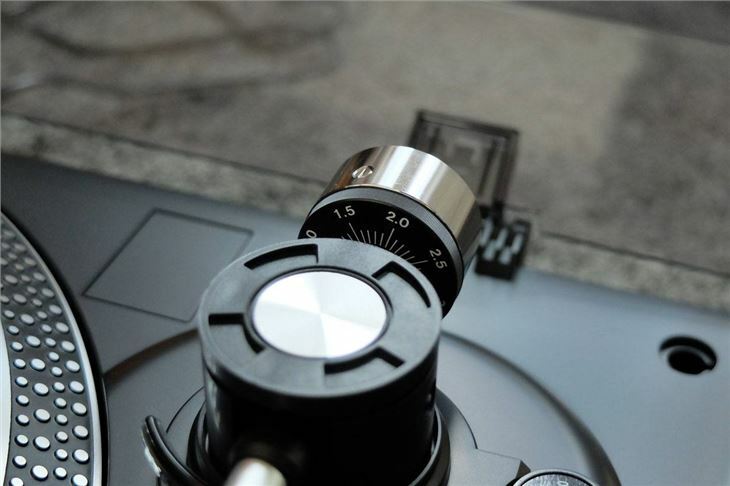 Both have their advantages and drawbacks - direct drive turntables are fast to get to speed but as the motor is directly under the platter, vibrations are fed directly to the needle. However, the Lenco does a very good job of isolating these vibrations, albeit not entirely. Hooked up to our amplifier, we tested it back to back with a belt-driven turntable and the Lenco delivered slightly crisper and clearer sound, even on very old vinyl. Yet there's still plenty of bass and warmth to it. Yes, it may not be as authentically retro as a 1970s turntable, but the quality of the sound more than makes up for that. Even with some heavyweight vinyl (such as 180g) plonked on it, the Lenco doesn't ever struggle, aided by that direct drive system. We tried it with everything from modern LPs, to 45s and practically ancient records, from the 1960s. If you can imagine that far back. It was spot on with everything and we certainly noticed an improvement over our belt-driven turntable, which is now several years old. Bundled in with the Lenco is a CD with free audio software from Audacity on it. Fortunately, for those of us who no longer have CD-ROM drives in their laptops, you can download it online too. It's quick to install and although it looks a little like it was designed for Windows 98, it's pretty easy to use. Of course, there is no reason to stick with this - there are lots of other packages, free or otherwise, out there you can use. With a crisp and clear sound that includes plenty of bass, the L-400 will bring a new lease of life to old LP collections, plus it feels built to last too. We're really impressed with it and although the recommended PC software looks a bit dated, it does the job if you want to make digital copies of your vinyl. 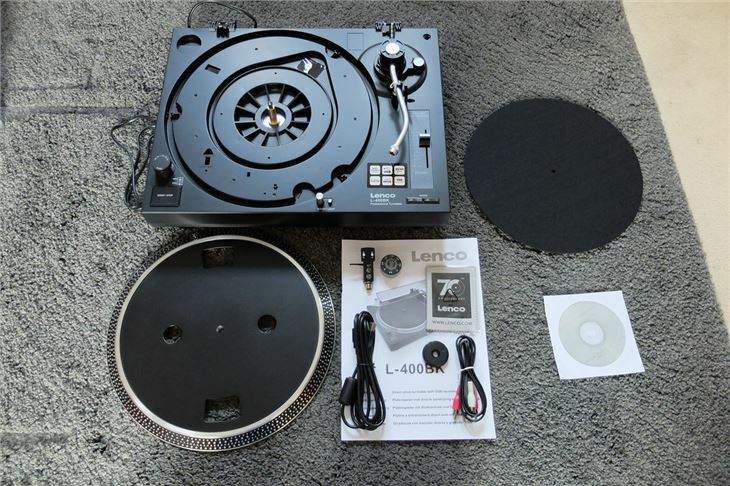 Compared to other direct drive turntables, the L-400 is very good value for money - it's easy to spend a lot more on something from a well-known brand like Pioneer, but the Lenco is a better value alternative. For the aspiring DJ, this is a great bit of kit to get started with. If you're after something to listen to your old vinyl collection on, the L-400 will certainly do the job incredibly well, even if you don't need all the functions it offers.